Trust Auto is honored to present a wonderful example of pure vehicle design... this 2014 Ford Expedition EL Limited only has 106,387mi on it and could potentially be the vehicle of your dreams! Drive home in your new pre-owned vehicle with the knowledge you're fully backed by the CARFAX Buyback Guarantee. This versatile SUV is perfect for families or contractors with its oversized cargo area, exceptional horsepower and option upgrades. Outstanding craftsmanship and artisanal refinements abound with this Ford Expedition EL Limited. When Ford created this vehicle with 4 wheel drive, they immediately enhanced the performance ability. Easily switch between two and four wheel drive to take advantage of the improved steering and superior acceleration. Added comfort with contemporary style is the leather interior to heighten the quality and craftsmanship for the Ford Expedition EL All records are included with the purchase of this well-maintained pre-owned vehicle. Rare is the vehicle that has been driven so gently and maintained so meticulously as this pre-owned beauty. High performance is what this vehicle is all about. You will be reminded of that every time you drive it. Let's be honest, not everyone wants to set a course blindly into the dark. For those of us that don't, there are vehicles like this with stellar navigation systems. You'll enjoy improved traction and world-class handling thanks to the new tires on this vehicle. You know the the previous owner washes and polishes the vehicle with great care and detail? It's in impeccable condition. 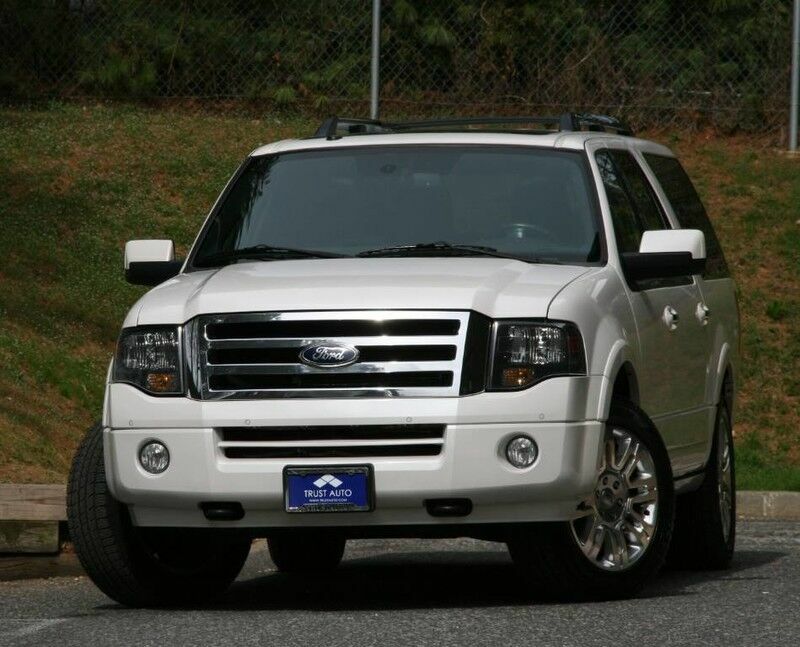 There are "other vehicles" and then there is the Ford Expedition EL Limited. It is one of the most unique vehicles on the market, and you would be hard pressed to find another dealer offering something quite like this Ford. More information about the 2014 Ford Expedition EL: The Expedition is Ford's largest full-size SUV. It stands out for its combination of smooth ride and quiet interior comfort, with full-size-truck hauling ability. The Expedition's 9,200-pound tow capacity is the best in its class. Strengths of this model include excellent towing capability, spacious third-row available, 5-star safety ratings, and Smooth ride and interior comfort *30 DAYS / 1000 MILES POWER-TRAIN WARRANTY INCLUDED (ENGINE, TRANSMISSION, DIFFERENTIALS)* *TRADE INS ARE WELCOME* Trust Auto is one of the top pre-owned vehicle dealer in Maryland. We provide quality vehicles of various makes and models with the most competitive prices in the region. Trust Auto is dedicated to make your vehicle shopping experience hassle free and straight forward. With that in mind we fully inspect, service and detail all cars in the lot. We are open 6 days a week now FOR YOU!!! Monday - Saturday 9am - 7pm. Some vehicle information and pricing may be unintentionally missing or inaccurate, and Trust Auto will endeavor to correct such discrepancies in a commercially reasonable manner after being notified of any errors. Pricing errors and listing errors are considered invalid and may not be honored at the sole discretion of Trust Auto. Prices subject to change without notice and do not include Title, License, Registration Fees, State or Local Taxes, $895 PDI & $299 Dealer Processing Fees. Please contact seller for vehicle availability. All vehicles with PDI are sold with a 30 day / 1,000 mile warranty! EPA mileage estimates are provided for comparison purposes only. Actual mileage may vary depending on driving conditions, driving habits, and vehicle maintenance. Mileage listings are estimates and are not necessarily accurate odometer readings.